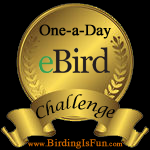 This entry was posted in Alberta Birds, Birding, Blogging, Canada Birds, General Birding and tagged Alberta Birder, Edmonton Nature Club, Nature Alberta, Owls. Bookmark the permalink. ← Prairie Birder’s 5th Anniversary! Sad to hear. He was one of the great ones. I attended an outdoor talk by Ray with the Edmonton Nature Club years ago. I saw the posting on the Albertabird listserv. Very sad news. 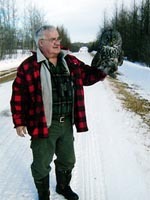 I met Ray when he and some others from the Edmonton area came down to band some owls near Water Valley. He and Richard Chamberlain banded two adult Great Grays, three owlets and one Northern Hawk owlet that day. Getting to hold an adult Great Gray as well as a couple of owlets was an experience I won’t soon forget. Ray was a very knowledgeable and extremely nice guy, I’m sure he will be missed by many. You were very lucky to have an opportunity like that Ron — what a wonderful memory. Oh my, our Dearest Mr. Cromie…I will be so sad to tell my children of your passing; you were a favorite and such a loved teacher at Woodbridge Farms school; as a parent I will always cherish the love and kindness you shared with all of “our children”…I know that our dear lord will reward you for the kindness you shared with all who crossed your path….fly our dear friend to meet your hawk worthy of your banding. Thank you for sharing you memory, Chris. Do you mind if I send your sentiment to Gerald Romanchuk, who’s collecting memories of Ray and sending them to the Cromie family. Lovely memorial to a fine man. The staff of the Beaumont Library wishes to extend our sympathies to the family of Ray Cromie. Ray would bring in his owls for special events. We were always delighted to have him here. Thank you for the lovely comment, Beaumont Library. Do you mind if I send your sentiment to Gerald Romanchuk, who’s collecting memories of Ray and sending them to the Cromie family. I was actually just looking for some general info on owls and I stumbled on this article. Condolences to his family first of all. I had to comment on this because I met Mr.Cromie when I was in grade 2 or 3 I’d say? I’m 30 years old now and absolutely remember him! Not sure but I may have met him just once? He came to our class at Woodbridge Farms Elementary school to talk to us about owls. He gave me a picture that he took of an owl. I loved that picture and possibly still have it? It is true when they say “people won’t always remember what you say to them but they will remember how you made them feel”. Mr.Cromie to me is a perfect example of that. Coming from the memory of a little girl who only met him once… I can say he was a kind, generous and memorable man who taught us well.